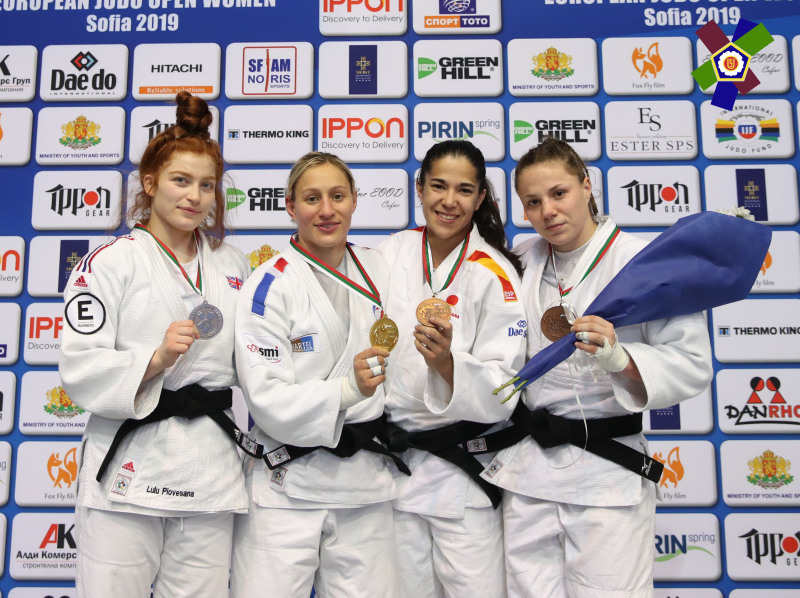 British Judo took home five medals from the 2019 Sofia and Odivelas European Opens on Saturday 2 and Sunday 3 February. There were first Continental Open medals for Lele Nairne (-57kg bronze), Emma Reid (-78kg silver) and Harry Lovell-Hewitt (-90kg silver). Lubjana Piovesana (-63kg silver) and Stuart McWatt (-81kg bronze) won their second and third Continental Open medals respectively. Points from the European Opens go towards World Ranking and Olympic Games qualification. Piovesana and Reid lost close finals in Sofia to Maelle Di Cintio (FRA) and Giorgia Stangherlin (ITA) respectively while Nairne beat Serbia’s Marica Perisic for bronze. In Odivelas, Lovell-Hewitt lost out to former World champion Loic Pietri (FRA) in the -90kg final, with the French fighter winning by waza-ari. McWatt beat Filip Stancel (SVK) for bronze.